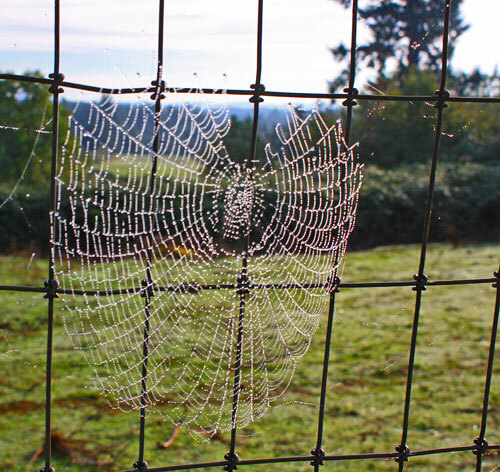 First thing in the morning before the sun has a chance to dry up the dew drops, you can find beautiful sun sparkling spider webs everywhere right now, laced between bushes and hanging on fences. 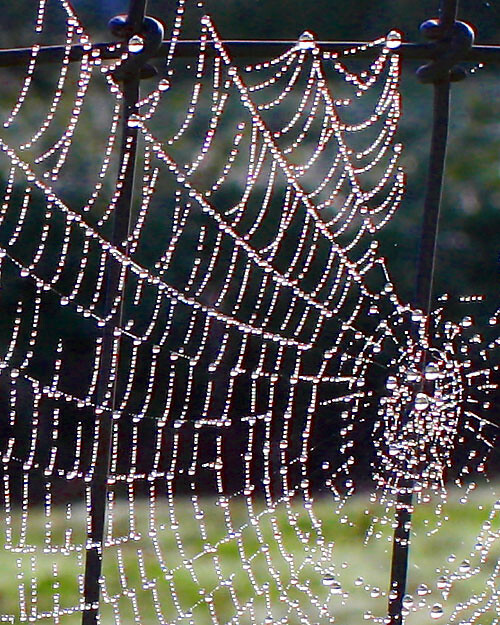 Couldn't help but photograph this web glittering so brightly in the misty morning sun. With my nose pressed to the camera, concentrating on getting the perfect shot, I suddenly became aware of my lens clouding over by two big blowing objects! 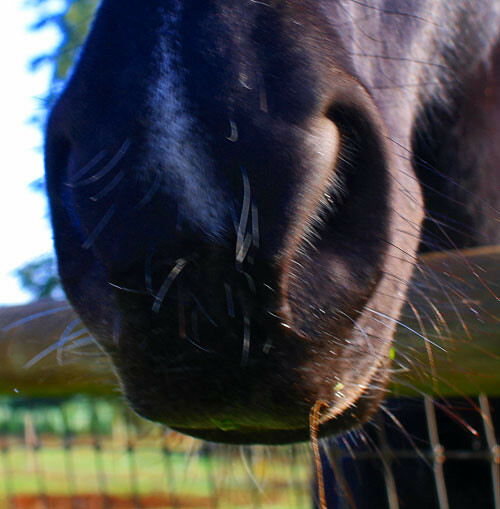 This time it wasn't Zippy's shiny black nose, but instead the horses, Cisco and Reyo, were each taking turns sniffing and blowing into the camera curious about what I was up to! 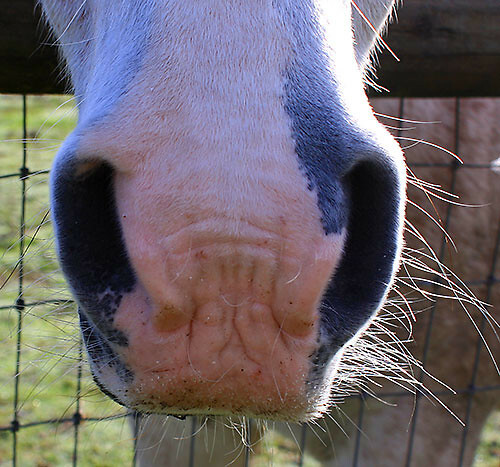 Cicso back at the barn hoping for a carrot. The weekend is here and it's almost Trick or Treat time. Have a fun filled weekend and take time to enjoy yourself a little. What do you do to celebrate Halloween? We'll be doing farm things and are getting ready for the holiday tree season when families from all over the Portland area come to visit our farm to pick out their favorite Christmas tree and stop at the gift shop for more goodies, including fresh handmade wreathes.